After arriving at the South Texas Family Residential Center in March, Mariee contracted a respiratory infection that her attorneys at Arnold & Porter allegedly "treated badly for nearly a month." Texas officials say they are investigating the case, and Immigration and Customs officials did not respond to specific allegations by Juarez and her lawyers. Juarez and Mariee, who came from Guatemala, were arrested on March 1 after ICE's crossing to the US across the Rio Grande. She applied for asylum and the two landed, according to the law firm almost three weeks at the facility in Texas. In the facility, Mariee became increasingly ill, according to a timeline of events published by the lawyers. 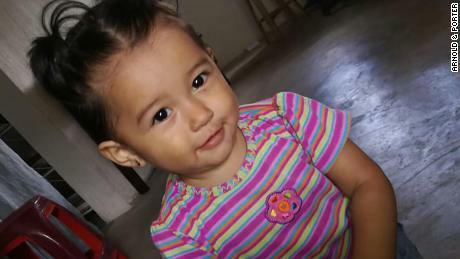 Juarez repeatedly sought health care for her daughter, but did not receive the intensive medical treatment she sought and prescribed various medications that did not improve her daughter's condition, according to the timeline. 0 at the Philadelphia Children's Hospital, according to Juarez lawyers. 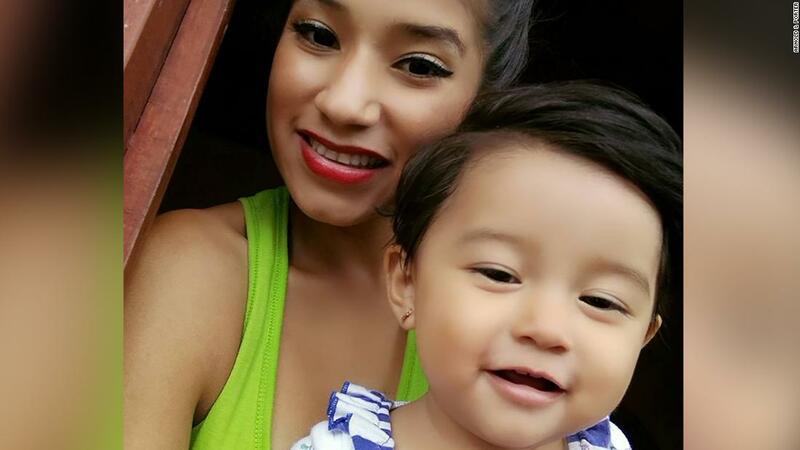 "A mother has lost her little girl because ICE and those who run the Dilley immigration detention center were inexcusable," the law firm's statement says. "We are working with Yazmin and her family to seek justice for the failures of ICE and others, and to ensure that no other family will suffer such an unnecessary and devastating loss." Earlier this month, child protection officers began in Texas with an investigation into the allegation that a child died after leaving home. This investigation remains open and there is no estimated date for completion, said Patrick Crimmins, a spokesman for the Texas Department of Family and Protective Services. In response to a CNN request, ICE said in a statement: "ICE is committed to ensuring the well-being of all persons in the care of the Agency, including access to necessary and adequate medical care in ICE detention." In her statement, she did not specifically address Mariee, but listed the medical staff provided to those in her care and how the agency spends more than $ 250 million a year on her health care. Juarez & # 39; lawyers said Mariee was well when she first arrived in Dilley, but her condition worsened. Juarez was looking for her lawyer on March 11, six days after arriving at the facility in Dilley, for medical treatment for her daughter. Tylenol was prescribed to the infant after an acute upper respiratory infection. But her lawyers say that Mariee's symptoms have become worse, losing weight, vomiting and developing fever and diarrhea. During her nearly three weeks at the facility, Juarez sought medical care for Mariee at least five times, according to her lawyers. During her time there, Mariee received various other diagnoses, which included acute bronchiolitis and otitis. "When it became clear that Mariee was seriously ill, ICE released her mother and daughter, and Yazmin sought immediate medical help for her baby, but it was too late Mariee died in the hospital after six painful weeks after leaving Dilley . " for their lawyers. They claim that conditions in Dilley are "unsafe and unsanitary conditions" and that medical care is "poor in terms of availability and quality".